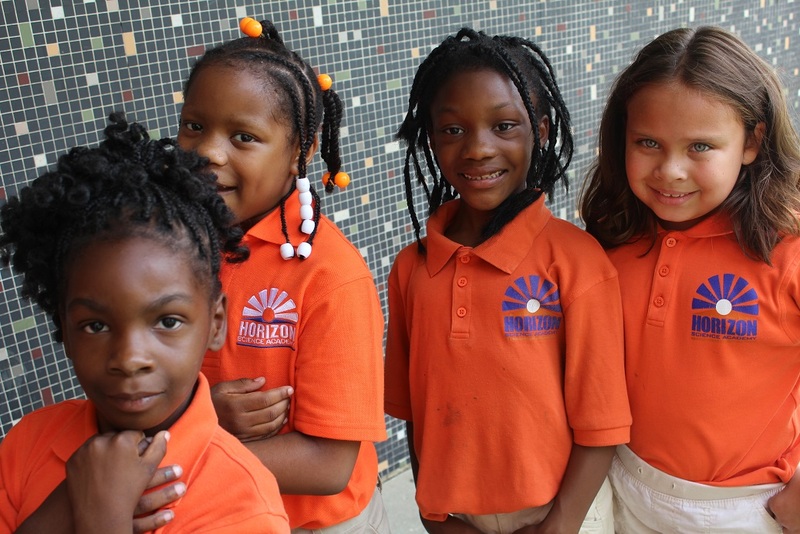 HSA Youngstown Charter School (K-8) by Concept Schools > News > News > First Day of School! HSAY students went back to school on Wednesday, August 15th. Everyone had a fantastic first day! We look forward to having a great year! Each student was given a free supply bag on the first day of school. 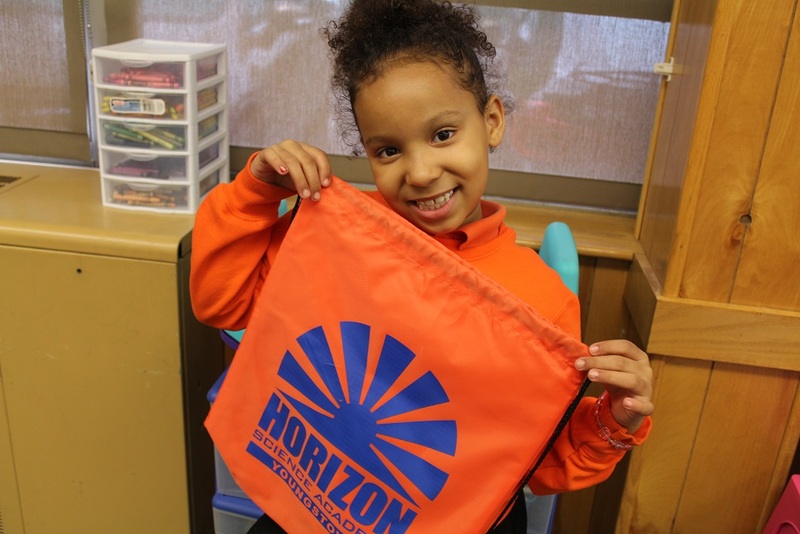 Horizon Science Academy Youngstown girls getting ready for recess. 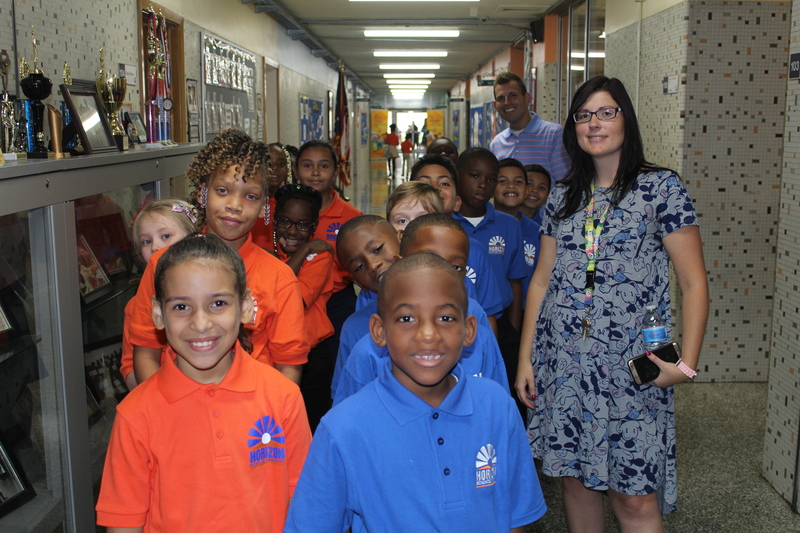 Miss Minnie walks her HSAY students down the hallway.